EMPEROR 1510 WORKSTATION | muted. Imagine taking a seat in your own fully kitted out command center with a host of technology right at your fingertips. 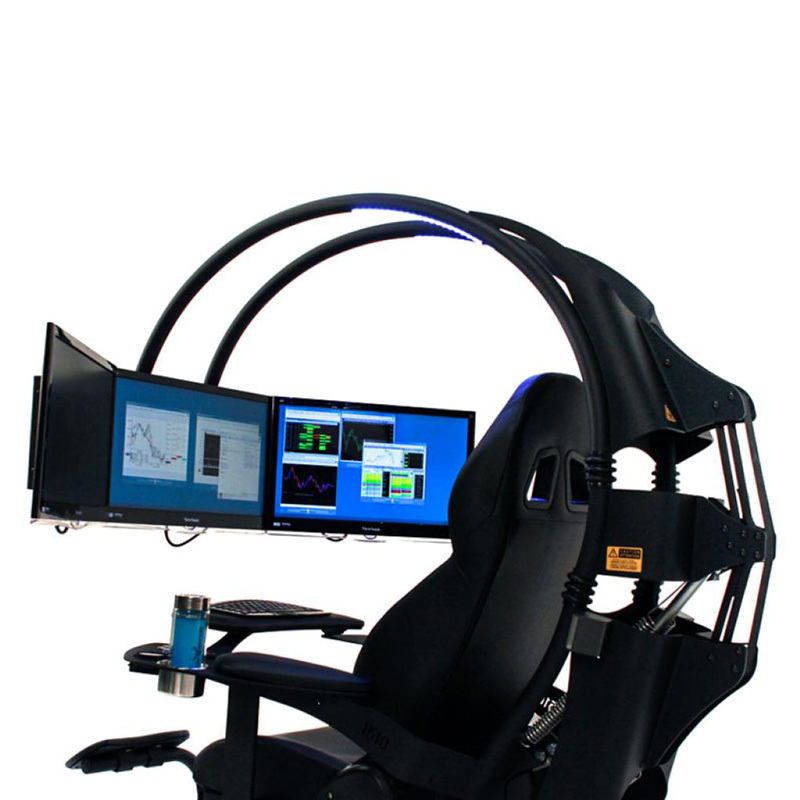 With a sturdy steel construction that incorporates super cool tilting capabilities the Emperor 1510 Workstation ($6000) features a high end Bose audio system, LED lighting, multiple monitors, web cam right down to a simple but much needed cup holder! With optimised performance that means it leaves behind a minimal footprint. Become the envy of every bond villain that has ever existed with the incredibly modern and efficient Emperor 1510!